The Malaucence Olive Oil Cloth is a non woven PVC. This PVC will transport you to dining alfresco on a Greek island. 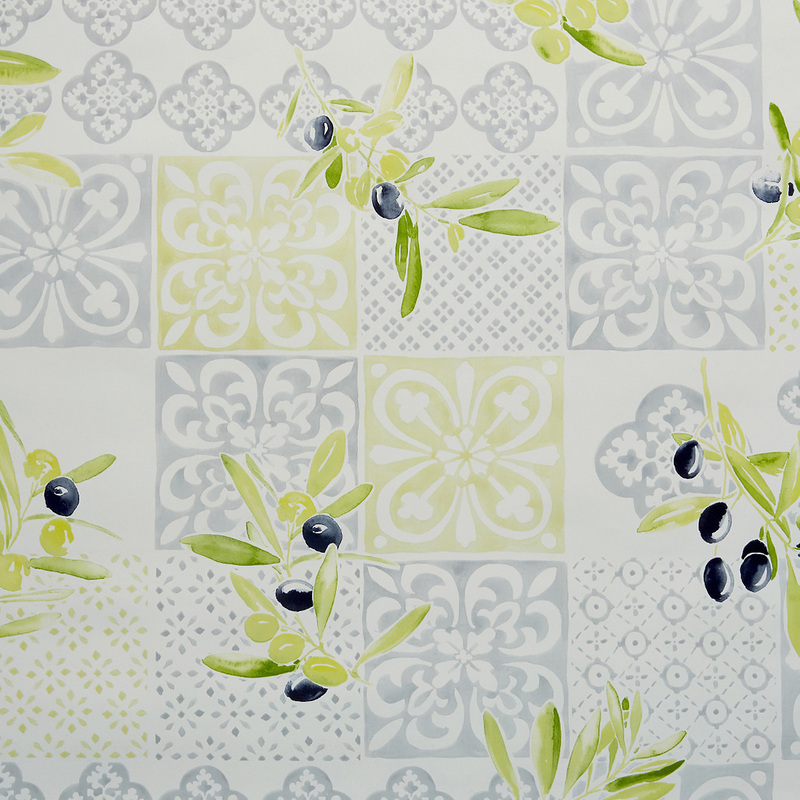 The olive print mixed with a tile has a summery vibe, perfect for indoor or outdoor use.